New entrants to our lovely region really don’t know Geelong. In fact I would say they have gone to 5 areas: Newtown, Highton, Geelong West, The Bellarine or The Surf-Coast. Geelong has so much more to offer beyond the Top 5. 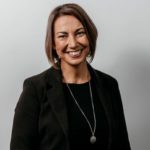 Maree Herath, Director Harvest Recruitment explains. I was born in Geelong. I stayed for 20 years, left for a further 20 before my return. I’ve known old Geelong and also new Geelong – the city of today..and tomorrow. 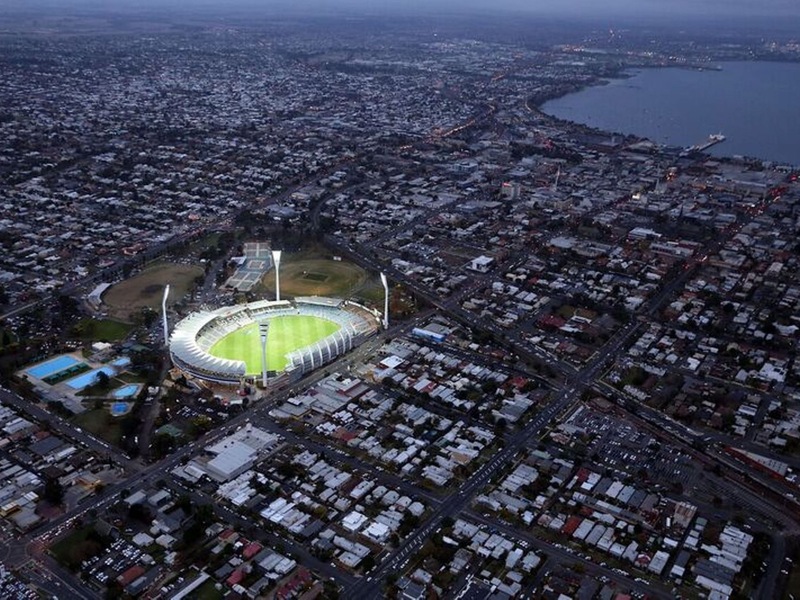 GMHBA Stadium, home of the Geelong Cats. You’ll have to get in early to nab a new apartment as off the plan sales are going gangbusters. Forget The Mercer – it’s sold out and under construction, as has Miramar and The Ritz is selling fast. If you want inner your best bet is South Geelong. Geelong’s CBD quickly unfolds to inner suburbia in South and East Geelong but South Geelong hasn’t had the price hike of East Geelong. Of course if you love the water head to Drumcondra or Rippleside and still enjoy a Waterfront walk to work or weekend cafes. It’s old blood here and home to former Mayor, Darryn Lyons. Houses do not release quickly however Balmoral Quay still have off-the-plan apartments selling and Aaronlee is the latest new development on the Esplanade. Within 5km of the city you’ll have Geelong’s version of South Yarra. Your kids may start at the local public primary schools of Chilwell, Fyans Park, Newtown or Ashby but pretty soon they’ll head to “College” not Geelong College, “College” – One of Geelong’s prestigious Private Schools. Back in the day your children were assured of a bright and successful career for the pure fact you ticked the “College” box. Also Christian College and Sacred Heart are prestigious schools on your doorstep. For new entrants it will be Newtown, Highton (was No. 1 but now No. 2 to Newtown) and Geelong West that will be your suburb of choice. But beware there’s 3rd, 4th and 5th generation Geelong here and some may not be as welcoming! Still, it’s all on your doorstep. Plus you have the best strip shops and cafes along Pakington St (Pako) and oh so close to town and GMHBA Stadium home of the AFL Geelong Cats! Still within a respectable distance from”town” are Manifold Heights, Herne Hill and Belmont. Manifold Heights is a mini Newtown, Belmont is where you’ll want to live to get your kids to Geelong’s best Public School and Herne Hill is a little treasure. Same distance to Geelong as Newtown and Highton and super close to Clonard (girl’s private), St Joey’s (boy’s version of the same) and Kardinia (seen to rival College in Academic Excellence). Look out for North Geelong. Within walking distance of Pako and the city. Keep following Pakington St North or head to the Golf Club Estate. South of the Barwon River is Wandana Heights and Waurn Ponds. What suburb you may ask? It’s the “family of teenagers” heartland. Belmont High, Christian College for secondary school Deakin and Marcus Oldham College for tertiary are so so close meaning your taxiing is kept to a minimum. Then with Epworth Hospital, the Shopping Centre, Leisurelink and sports fields a plenty; Ten Pin Bowling and Aldi on your doorstep, you can’t go wrong. But what do you expect? This is one of the most marginal seats in politics in Australia and it’s had the investment to go with it. Within 7km of the CBD is the suburbs going through the highest rise in prices. Some of them still a bit dubious but others are on the move. Starting East is Newcomb, Whittington, Breakwater and Moolap. The 3219 postcode is an interesting one. East Geelong is primo while Whittington (only one suburb away) is a suburb challenged by poverty and endemic unemployment. Breakwater has yet to have the impetus in renovation and housing but Whittington and Newcomb have a range of subdivisions happening right now. What I love about Moolap is it’s rural. You can get acreage within 10km of town. Unheard of!! Heading South of the Barwon you have Grovedale. An older suburb that was developed in the 80’s. Here you have the 60 and 70 year old plus vintage as well as many of Geelong’s retirement villages and nursing homes. Additionally this is the location for the young couple market or couple with one child, as there are many new, affordable developments that have taken off. West is Fyansford. It will quickly move to the status of a Geelong West and Gen Fyansford is selling well. If you didn’t know it is home to our “tip” and thus it loses some points given it is still houses pockets of industry and waste. What you can’t argue with, is it’s proximity to Newtown’s schools, The River, Queens Park and the city. North West are the suburbs of Bell Post Hill and Bell Park. Many of the Mediterranean immigrants from Italy, Greece and Croatia found Home here in Geelong’s north in the 50’s. With a traditional and super popular Butcher, the Croatian Club, Catholic and Orthodox churches almost side by side plus some humble shopping strips, you’ll find many next generation Mediterranean’s with their families residing here. Also, families looking for more space without the price tag of Geelong West are coming to these suburbs. The huge plus for our Melbourne friends is it backs onto the Ring Road usually with only one traffic light between your front door and Montague St in Melbourne. It is a decent suburb with more established houses than new developments with the ever popular Kardinia College close by. Even more elite is Geelong Grammar – 10 mins drive away. Directly North is North Shore and Norlane. North Shore close to Rippleside Park is delightful with townhouses on smaller blocks. Likewise “New Norlane” is seeing younger couples or families affordably access home ownership. However do your due diligence. Some streets are pleasant, while others will see you entertained in part or equally concerned for your safety. It’s an eclectic area. For a city that is not diverse we start to see today’s Multicultural community unfold, with communities from India, Sri Lanka and now Iran, Syria and Sudan finding refuge in Geelong’s Northern Boundary. I do love Geelong and I have loved watching Geelong transform, particularly since 2016/2017. Find your home and, if you are new, we welcome you!